This is the first book I have read from this author, and I really enjoyed it. I liked all the characters in this. You have the main person telling the story, which is Rayna, and she's a like-able character. You really feel sorry for her being treated like she's crazy. She doesn't see herself having it as a special gift, but more of a burden, as she doesn't want to seem like she's going crazy. Then, you have Cam, the new guy who starts at Rayna's school. He seems very mysterious at first, but you soon get to like him when you find out more about him. Rayna's Dad and sister don't seem to come across as having faith in Rayna. They don't believe her in her visions and that they might be real or mean something, so they believe shoving her off to a clinic will help her. Finally, you have Kade, who you believe to be a bad guy, when he turns out to be decent. I didn't see anything bad with this book. 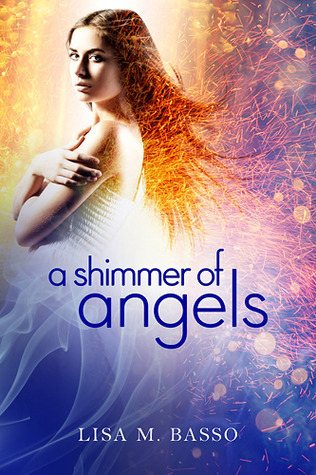 I really like books involving angels, and I can't wait to read the sequel to this!! I really think the cover design to this book is so pretty, and I'm a really big fan of good looking book covers. I know they say don't judge a book by its cover, but I honestly can't help it. Overall, I gave this book five stars because I enjoyed the storyline, the characters and I would most probably read this book again at some point. I recommend this book to others who, like me, enjoy books about angels, and would enjoy it like I did. Add this book to your "to read" list, as it deserves two thumbs up.